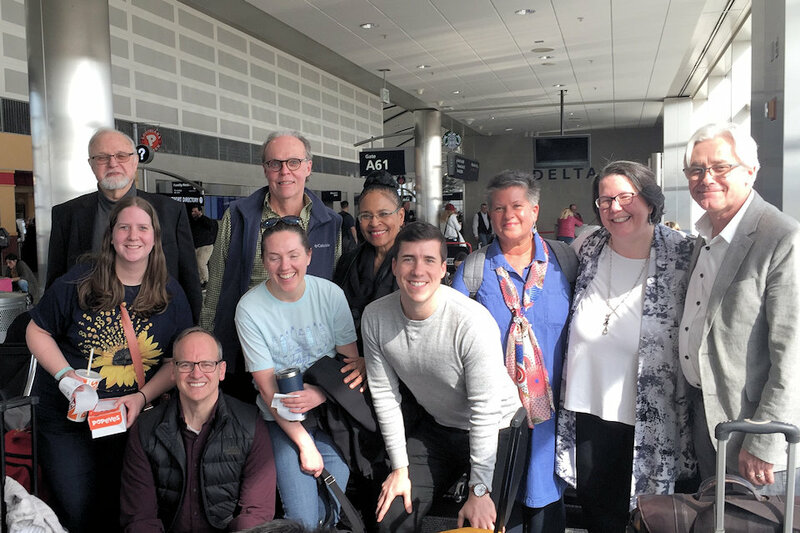 On Friday, February 22nd Michigan United Methodists joined with thousands of others traveling to Missouri for the 2019 General Conference. As 16 official delegates and scores of other Michigan United Methodists made their way to St. Louis, they carried with them the thoughts and prayers of faithful United Methodists from across the state. The delegation is a blend of the two 2016 General Conference delegations from the previous Detroit and West Michigan conferences, which united last year. This is the first time the newly-formed “Michigan Conference” will be represented at a General Conference. The group is led by the Rev. Dr. Charles Boayue (former Detroit Conference chairperson) and Nichea Ver Veer Guy (former West Michigan Conference chairperson). They will be part of the 864 elected delegates and almost 4,000 United Methodists gathered at the Dome at American Center in St. Louis. Bishop David A. Bard, Resident Bishop of The Michigan Conference, will be present at the special called session, as well. Bishops chair the conference sessions but do not have voice or vote. During Friday and Saturday, Michigan delegates had the opportunity to meet other United Methodists from across the U.S. and the Central Conferences in Africa, Europe, and the Philippines, who also gathered with the same mix of emotions which have marked the two years of preparation for this special conference. Everyone agrees it is a crucial moment which will likely be a historic turning point in the life of the Methodist movement. The presence of demonstrators from outside groups, like the Westboro Baptist Church, could add to the tension. But inside the conference center, most United Methodists are hoping the time together will be marked by grace and respect, recognizing the common ground which unites us even in the face of the issues which divide us. Hopefully Saturday, which has been set aside as a “Day of Prayer and Preparation”, will set that tone. For Michigan United Methodists it also marks the new journey as one conference in the state of Michigan as we hitch up the wagons and head for the new frontier before us.